There’s a Mustang King Cobra at SEMA! This is it! You’re looking at it right now! 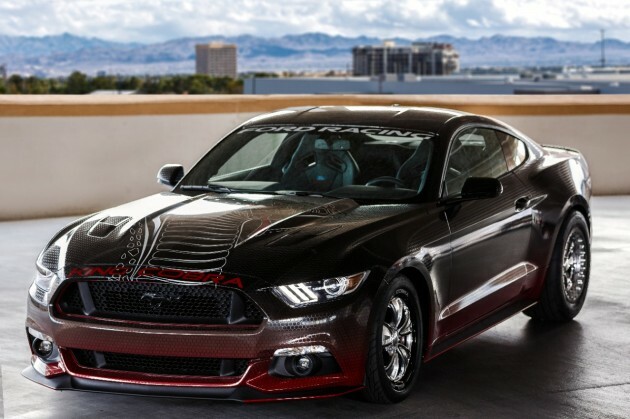 The title says it all here: holy crap, Ford brought out a Mustang King Cobra at SEMA. We may have jumped the gun ever so slightly earlier today when we proclaimed that Ken Block had won SEMA with the Hoonicorn Mustang, but we think it’s fair to say that—in its 50th year—the Ford Mustang is the star of SEMA this year. 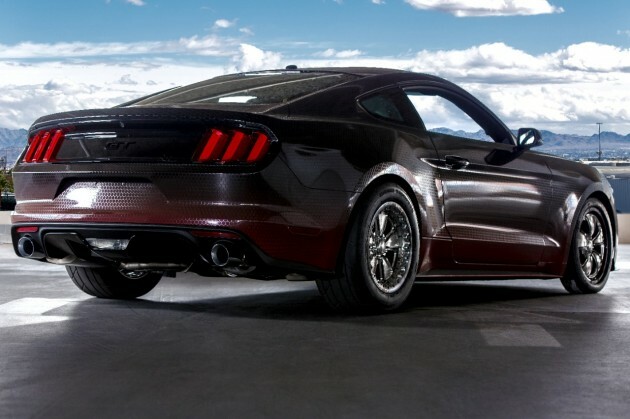 At this point, we know precious little about the Mustang King Cobra—most importantly, what kind of output we’re talking and whether or not this is a thing we’re actually going to be able to buy at some point—but Ford has posted the pictures on its media site, so we can probably expect the full skinny later this evening. Since we don’t have much else to go on here, apart from the fact that it’s got a massive cobra decal on the hood and a cool red-to-black gradient paintjob with what appears to be snakeskin texture, we’re just going to drop these pictures right here and let you salivate along with us. And, sure, we’ll go ahead and issue this plea to Ford: please, in the name of all that is good, bring this to the people. If you build it, they will drive.